(BEAVER FALLS, Pa.) – Geneva College invites prospective students to one of two Major Exploration Days this coming Friday, November 9 and Monday, November 12. These special visit days give students an in-depth look into their anticipated major programs. Registration is available at: geneva.edu/admissions/events/major-exploration-days. Many students are able to solidify their choice of a college major based upon their experience at Geneva Major Exploration Days. 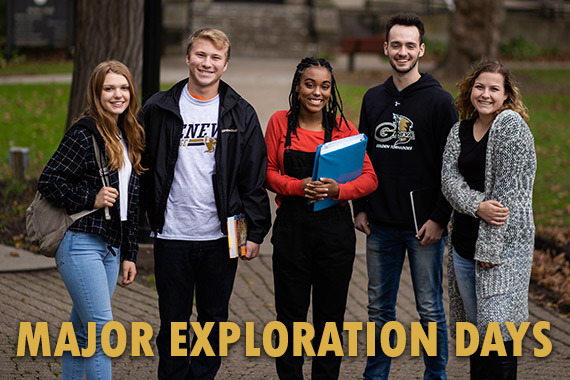 For those who aren’t sure of a major, there is a special program offered on Exploration Day available on both Friday, November 9 and Monday, November 12. Nearly 10% of incoming freshman students begin their career as Undeclared majors, and Geneva College offers support to these students through a dedicated program of study, academic guidance and independent majors.